Here are some answers to commonly-asked questions you may have about Food&HotelAsia. If you have further enquiries, please contact the Communications Department. When and where will FHA-Food & Beverage be held? The event will be held from 31 March – 3 April 2020 (Tuesday – Friday) at Singapore Expo. What are the opening hours of FHA-Food & Beverage? Who is the organiser of FHA? FHA is organised by UBM, which in June 2018 combined with Informa PLC to become a leading B2B information services group and the largest B2B Events organiser in the world. Please visit www.ubm.com/singapore for more information about our presence in Singapore. Is admission to the exhibition free to members of the media? Admission to the exhibition is free to all registered members of the media. How do I obtain a media badge to cover the event? Online media registration for the exhibition and associated events begins in January 2020. Please note that media badges are only issued to editorial staff with registered media organisations, and industry analysts. Qualifications will be determined by the event organiser. Only editorial staff will be accredited as media. Titles regarded as editorial staff include bureau chiefs, editorial publishers, correspondents, editors, journalists, producers, web journalists, bloggers, analysts, accredited camera and video crew, etc. Freelance writers, videographers and photographers must present proof of assignment by an accredited media outlet. These include recognised magazines, trade publications, newspapers, news wires, broadcasting stations and news portals. Employees of media outlets who do not work in an editorial capacity will not qualify for a media badge. Such personnel include art directors, CEOs, VPs, district managers, general managers, graphic designers, managing directors, sales, marketing, media managers, public relations and promotions representatives. This list is not exhaustive and we may refuse admission at our discretion. What areas of access does the media badge offer? 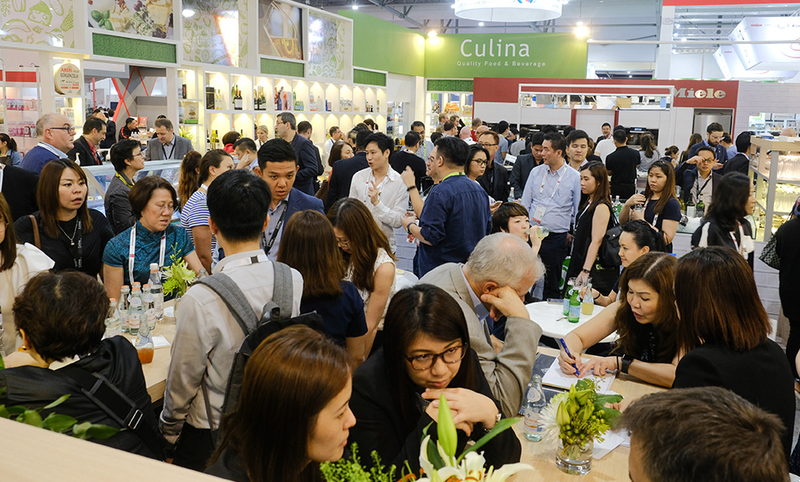 Your media badge grants you access to the FHA-Food & Beverage exhibition, ProWine Asia (Singapore) 2020 exhibition as well as associated competitions and events. If I am heading to the Opening Ceremony on the first day of the exhibition, must I collect my media badge from the Media Centre first? If you intend to attend the opening ceremony, please email Juliet Tseng to RSVP for the event. Your media badge will be available for collection at the media registration counter located at the Opening Ceremony venue. Media kits and opening ceremony speeches will also be available at this counter. What services will I get as a registered member of the media? Where will I get the audio / visual / computer equipment and services I need to file stories during the event? A press working area equipped with power points, LAN drops (for laptops), printers and Internet access are available to registered media. Should the need for additional electronic equipment arise, the press is to obtain them at their own discretion and cost. Will I have to pay for the use of equipment and services? Only equipment to facilitate communication and filing of stories (listed above) are provided for free. Any additional equipment and services rendered will be borne by the media. How do I obtain photographs of FHA-Food & Beverage? Digital photographs of the event will be available the day after for download at a dedicated computer terminal in the press working room. Who do I liaise with at FHA-Food & Beverage? Communications staff will be available on-site for enquires and assistance. Should you require more information, please contact our Communications department. How do I arrange to interview someone at UBM? Please contact our Communications department for interview requests. I would like to contact an FHA-Food & Beverage exhibitor for an interview. How can I do that? This can also be arranged by contacting our Communications department. Where can I find news releases about FHA? Press releases are available online here. These press releases are also emailed to the media. You may subscribe to this service by writing to Juliet Tseng with your contact details. I would like to be informed of the latest news and updates about FHA-Food & Beverage. How can I do so? Our mailing list provides updates and the latest news on all things related to FHA-Food & Beverage. Should you wish to sign up for this list, please click here. Media registration for editorial staff will commence in January 2020. In the meantime, please contact our Communications Department for enquiries related to media coverage at FHA-Food & Beverage 2020.